The last movie I got to see in 2015 was a SAG Screening for JOY The Movie, so I like to say I ended my year with JOY! Happy New Year Butterflies! While I did post to social over New Year's Eve, this is my first official Blog Post of 2016. And being the Ascending Butterfly that I am, I wanted to start with something inspirational that focuses on an Entrepreneur whose products are probably already in your home. Joy (the Movie) which was released on Christmas day, is based on the true story of Joy Mangano, the Miracle Mop Inventor and entrepreneur. At this point in her life, her ex-husband is still living in her home, her mother who was an almost recluse hiding from life in her bedroom since her husband left her, Joy's children and then her philandering Father who comes back to home to live with her (brought to her door by the mistress he left his wife/her mother for by the way) and her job opts to change her shift to nights as they are making 'cut backs' - needless to say at this point she is under a tremendous amount of pressure. That kind of intense pressure and *ish* that makes you re-think every choice you've ever made, wonder where are you going and how much longer you can go on with circumstances the way they are. You know, 'the little stuff''. JOY is the wild story of a family across four generations centered on the girl who becomes the woman who founds a business dynasty and becomes a matriarch in her own right. Betrayal, treachery, the loss of innocence and the scars of love, pave the road in this intense emotional and human comedy about becoming a true boss of family and enterprise facing a world of unforgiving commerce. Allies become adversaries and adversaries become allies, both inside and outside the family, as Joy's inner life and fierce imagination carry her through the storm she faces. 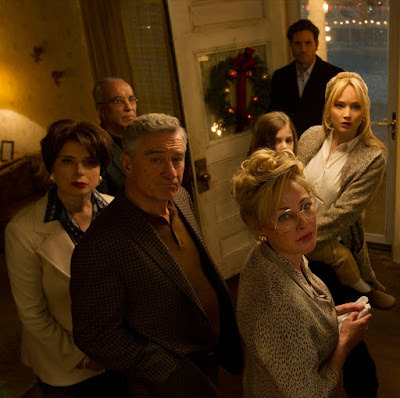 Jennifer Lawrence stars, with Robert De Niro, Bradley Cooper, Edgar Ramirez, Isabella Rossellini, Diane Ladd, Virginia Madsen, Elisabeth Rohm and Dascha Palanco. Like David O. Russell's previous films, JOY defies genre to tell a story of family, loyalty and love. I am curious as to why this bio-pic was released while the real subject is still very much alive and well. Bio-pics are tricky enough when the subject has passed, nevertheless when they are still alive. A surprise stand-out was Melissa Rivers who played her mom Joan in the QVC scenes, it was so spot on it was almost eerie! And I have no doubt her mom would be proud. But while the story was compelling, I am sad to say that I don't feel this was Jennifer Lawrence's best work. You would think 'Katniss' could pull off playing a strong woman who overcomes the odds against her to build her own empire (I mean really right, sound familiar? ), but she doesn't. Jennifer didn't do the role any justice in my opinion. It felt like she was 'walking through it' and I wasn't quite sure if it just didn't resonate with her, but she kind of has this vapid, valley of the dolls type of expression on her face most of the movie that didn't really fit what was happening to the character. Joy went through some deep lows to get to her ultimate high, a high that from what we see at the end is a bit bittersweet, and Jennifer just didn't convey what was happening in a way that hit home. As this is a bio-pic, even in my 'pro film critic' days (have I mentioned how that was one of my favorite times ever as a professional writer? ), I can't comfortably give a review on this movie - this isn't a ticket or skip it type of movie - this is a true story that is still un-folding, I can only comment on the acting and how the family on the whole is portrayed in the film. I wish Jennifer would have put the life she puts into her performances in the Hunger Games movie franchise into this movie. Katniss isn't real, Joy Mangano is - and in many ways she is just as tough as Katniss - but Jennifer just doesn't give you that. FTC Disclosure: This is NOT a compensated/sponsored Post, All opinions are 100% my own! Advanced/Press Screening Passes Provided for Editorial Consideration. I am disclosing this in accordance with the Federal Trade Commission 16 CFR, Part 255 - Guides Concerning the use of endorsements and testimonials in advertising, you may check our Giveaway and Disclosure Page for additional information regarding Ascending Butterfly Disclosure. Although this is the first I'm hearing of this movie, it definitely sounds interesting. Sounds like an empowering movie for women. I got to see this movie too and really enjoyed it! I didn't know it was a true story though! Very cool! I really want to see Joy sometime because I really like Jennifer Lawrence. The rest of the cast looks great too. I'm in love with Jennifer Lawrence. She's such a great actress. 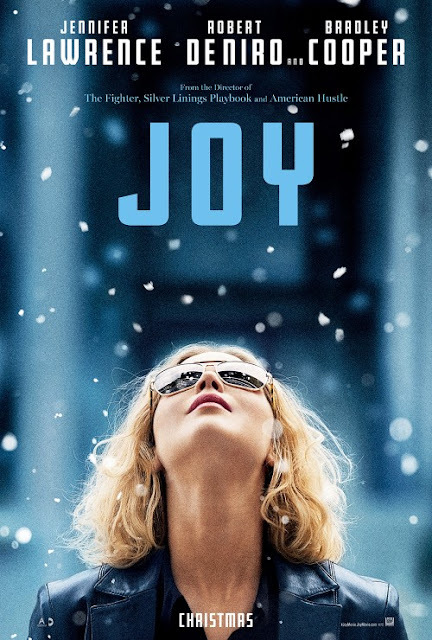 Joy looks like a great flick. I really want to see this movie. 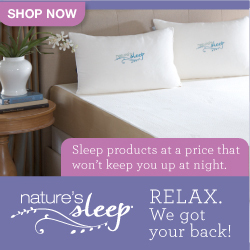 I think it would be a great motivation for me as far as running my business. Although I haven't seen the movie, I'm kinda with you on the whole Jennifer Lawrence thing. I'm not sure what the fess is about her acting. I haven't been impressed with her dramatic roles. No I don't own a Joy Mangano product. This week was the first time I'd read any of the back story about Joy Mangano. I'm interested in seeing the movie, but not sure when that will actually happen. I can't believe I haven't heard about this yet. I'm so big on movies and I'll have to look into watching this one. This actually sounds pretty interesting to me in spite of Jennifer Lawrence (whom I don't particularly care for). I'd love to see Melissa Rivers in that role though. It's neat to hear she did a great job. I don't own any Joy products but I've heard about the movie and I was curious as to why they made it now that she's still alive as well. I might actually go check it out after this review. I've been dying to see that movie! It looks awesome!! This is the first time I heard about this movie. I would love to watch this. This movie looks so good and she is one of my favorite actresses. I can't wait to see this one. I have seen and heard a lot of advertising for this movie but have not seen it. I love movies that send messages and have such a wonderful story line like this one. I would love to see this movie. I thought it sounded like it would be a great one. I can't wait! I can't wait to see this movie. I saw the previews and it looked like it was going to be a very good movie. I'm excited to see it. I really want to see this! Can't wait! I really want to see this movie. I appreciate your honest review and your insight. I can't wait to see Melissa Rivers in this. I am looking forward to seeing this movie with a few friends of mine. I hope you have a great 2016. I look froward to reading your blog. Looks like an interesting film. Joy has a lot going on, talk about a dysfunctional family! I will have to watch this. I saw the preview for this movie and it looked really good. I would love to see it sometime. I have seen hte poster but I haven't seen the movie yet. I hope I can watch this movie soon.